With many of the details from the City of Richmond Archives, and specifically its Richmond Schools online exhibit, this final installment in a four-part series regales the stories associated with Richmond school names. Richmond’s newest high school is actually a merger of two previously established schools, and pays homage to two of the city’s most prominent pioneers. Opened in 2007 following a merger between the previously-existing London Secondary and the eventual replacement of Steveston Secondary, the largest school in the district (featuring two full-sized gyms, two science labs and a library) is named after pioneers Charles Edwin London and Manoah Steves. Originally built as an elementary school, London was first established as a junior secondary in 1974, while the original Steveston school on No. 2 Road opened in 1955 before closing in 2005. A farmer, Charles London and his brother tilled land along the south arm of the Fraser River from 1881 to 1941. The pair also built a dyke by hand to protect farmland from flooding, and constructed a landing at the foot of No. 2 Road to bring in supplies to both his farm and the community. The original London farmhouse is now a popular heritage site located on Dyke Road near Gilbert Road. Steves, after whom Manoah Steves Elementary was named, was also an early pioneering farmer. It is after the Steves family that the Steveston neighbourhood is named. Ironically, the Steves family all attended Lord Byng Elementary—a school, according to Harold Steves, originally known as Steveston. Harold’s great grandfather, Manoah Steves, and Charles London enjoyed a great friendship that extended to their families. The neighbourhood that came to be known as Steveston came about because of the farm wharf that was located there. “Initially it was called Steveston’s Landing, and eventually Steve’s Town,” Harold explains. Originally built as annex to Lord Byng Elementary, the school was enlarged and became a full-fledged Kindergarten to Grade 7 school in 1974. It is named after James McKinney, who came to Lulu Island from Ontario in 1892 and owned 200 acres of farmland near No. 2 Road and Steveston Highway. It is on this site that the school is located. McKinney served on school board and was heavily involved in the church and other community activities. Opened in 1979 to serve the new housing development bound by Steveston Highway, Moncton Street, No. 2 Road and Railway Avenue, near the popular Steveston Village, the school is named after the new subdivision. Opened in 1992, the school is named after Jessie Wowk who was known as a humanitarian during the depression and gave generously to those standing in bread lines. She emigrated to Richmond with her parents from Ukraine in 1906, with the family purchasing a farm on Steveston Highway. Wowk is only the second woman— after Kate McNeely Elementary School—to have a school in Richmond named after her. The current secondary school at Jacombs and Cambie roads was opened in 1995, replacing the previous facility at Sexsmith and Cambie roads which originated in 1928 as Richmond High School. In 1952, the latter school became Cambie junior secondary when a new Richmond High School was opened on Foster Road (now Minoru Boulevard) in the downtown core. Cambie school was originally named after the adjacent road, which in turn was named after early local pioneer Henry James Cambie. He was an engineer with the Canadian Pacific Railway and surveyed and built roads in both Richmond and Vancouver. Opened in 2003, the school is named after Allan Roy MacNeill who was an early Richmond educator. One of the first graduates from the education faculty at the University of British Columbia in 1923, he began teaching at Bridgeport Elementary and in 1928, when Richmond High School opened, became its first principal, a position he held until 1959. He then became the district’s director of secondary instruction until retiring in 1968. Opened in 1998 and becoming a French Immersion school in 2004, the Steveston-area school is named after Richmond pioneer Robert Alexander McMath. Born in Ireland, he emigrated to B.C. in 1928 and moved to Richmond following the Second World War. In 1951 he was elected to the Board of Education and from 1957 until retiring in 1993 (excluding two years in which he sat out after unsuccessfully running for mayor), he served on municipal council. During this time, McMath became associated with several projects including the trail system, Richmond Nature Park and—as a keen soccer player—was prevalent in the local sports community. Opening first as a junior secondary in 1961, the school is named after Hugh McRoberts who was one of the community’s first settlers in 1862 when he purchased 648 hectares of land on Sea Island. Though born in Ireland, he called his farm Richmond View after his former home in Australia. It apparently reminded his daughter of Richmond, New South Wales. Sea Island was, in fact, originally known as McRoberts Island. Built in 1990 to serve a growing Steveston neighbourhood near Britannia Heritage Shipyard, the school is named after Tomekichi Homma who arrived in B.C. in 1883 as one of the first Japanese settlers in Richmond. Homma was involved in the construction of the first Japanese school and Fisherman’s Hospital, and in 1897 started the first Japanese daily newspaper, Canada Shinpo. He also helped the Japanese fishermen organize their own association, and throughout his lifetime fought for the right of suffrage for Asians, which didn’t occur until 1949—five years after his passing. Opened in 1958 as an extension of Grauer Elementary, it became a Kindergarten to Grade 7 school in 1961. The school is named after Donald McKay, an early Richmond pioneer who owned land on the South Arm of the Fraser River near Steveston and also leased land in the Brighouse Estates area on the middle arm of the Fraser to raise Holstein cows. McKay also operated a general store and post office at London Landing from 1888 to 1904 with Samuel Churchill. He served on municipal council from 1916 to 1922. Opened in 1991 to relieve overcrowding at Mitchell Elementary because of the rapid growth of subdivisions near Jacombs and Cambie roads, the school is named after pioneer teacher Kathleen McNeely. McNeely began teaching in Richmond in 1910 at the age of 19 at the English school on Steveston Highway. In 1913 she became principal at Bridgeport School, the first female to hold the post in Richmond and perhaps the province. Besides being an administrator, McNeely was also expected to teach full-time and during the Spanish influenza pandemic of 1918 volunteered her time to care for the sick. During the depression the 1930s, she helped initiate a school cafeteria program, and following retirement in 1948 dedicated the remainder of her life to education and social causes. Opened in 1974, the school was originally built to take the load off Gilmore Elementary. The school is named after the Salish word meaning “flat place near water.” The intent of the Richmond School Board was to recognize the fact that a First Nations settlement had been located near the site. 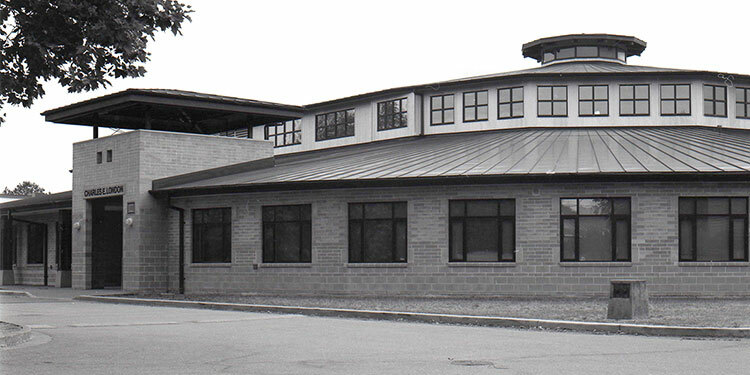 Opened in 2000, the school was built to serve a new housing development in the exclusive Terra Nova Estates. The school was slated to become Richmond’s first year-long school (balanced timetable) in 2004. The school name is borrowed from the Coastal Salish Nation meaning “a place of bubbling waters.” Because First Nations people of the Northwest had established settlements on Lulu Island near the school site for the purposes of fishing, the school was named in their honour. Opened in 1964 as an annex to Dixon Elementary, it became a Kindergarten to Grade 7 school a decade later. The school is named after Manoah Steves who along with his wife Martha left New Brunswick in 1868 moving first to Ontario and then Maryland (in the eastern United States) before arriving in Richmond in 1877. Upon his arrival, he purchased 400 acres in the southwest region of Lulu Island and helped petition for Richmond to become a municipality in 1879 and served on the first council. His descendants, including longtime councillor Harold Steves, continue to farm a portion of his land. Due to the proximity of his farm to the fishing village that emerged, a community named Steveston was also named in his honour.